It took two runs around the block before I found it, but I finally pulled into the Albuquerque TA, fueled up the truck, and parked. It was still morning by truck time (almost 11 am, locally) and I was ready for breakfast and a shower. Not in that order. The showers at this TA are small, but not as small as some I've been to. And they were clean, as every truck stop shower I've been to has been. I've gotten into a routine with my gym bag. I keep all the stuff I bring into the shower stall in one pocket, and all the other stuff, including my clean clothes, in the main compartment. I like to shave and brush my teeth in the shower, so the stuff is fairly evenly divided. Once I was clean, breakfast seemed important. I strolled to the non-smoking section and sat down in the only clean booth. There was a trucker in the booth adjacent to mine, talking to another trucker at a table across from him. "…can't believe he's retired," the trucker across from us said. "The people of Tennessee kept re-electing him," the trucker near me said. "He must've been doing them right." I accepted a menu from the strawberry blonde waitress, as it registered that the men were discussing the recent retirement, at age 100, of Strom Thurmond. Not my favorite person, as his bigoted rhetoric had kept the civil rights movement in check for far too long; and, after losing that battle, he had taken a position against civil rights for gays (calling them "special" rights, as if there were something special about wanting to marry the person you love or visit them in the hospital when they're sick). So, I certainly had an opinion on the subject; but as these gentlemen were having a conversation already, I decided I would just relax and keep out of it. The man across from us excused himself and picked up the handset of the phone at his table. Most truck stop restaurants have individual phones at the tables, making it possible for time-starved drivers to keep in touch with home and eat, at the same time. Of course, this was more of a boon before nearly everyone got a cell phone. But they are still in use by some. "Hey, honey," the man said into the receiver. "Grandpa's gonna be home soon." There was a pause, and he added, "About ten o'clock tonight. You'll already be asleep, but I promise to wake you when I get there." They chatted a bit more, then the driver hung up. The other one, the guy adjacent to me, instantly piped up, "I have a grandson, too. Haven't seen him in a year, though." "That was my granddaughter. She's going to be in a school play, tomorrow. I'm glad I'll be able to see it." "School plays. There's an interesting way to spend tax dollars that could be going into science programs." I began to see the dynamic. The driver across from us would make a statement, and the driver adjacent to me was compelled to comment. The driver across from us could end the conversation simply by keeping his mouth shut, but apparently neither man wanted the other guy to get in the last word. Finally, the man across from us put his money on the table and began to back away, still trading comments with the guy seated next to me. They exchanged one-liners about the stock market, various truck companies, the presence of dye in some diesel fuel, and whether our waitress' hair was really strawberry blonde or did she dye it? I thought it was over when the guy finally backed out of the restaurant entirely. But, no, the man adjacent to me twisted around in his seat and gave me a grin. "How're you doing?" he said. "Great," I replied. I decided I would play along for awhile. "And you?" "Terrific," he said, "considering that I have cancer." I looked him over. He was at least 100 pounds overweight, probably sixty or sixty-five years old, with a shock of grayish white hair and watery blue eyes. I could see a road map of tiny broken blood vessels through the skin of his right temple. "Not in pain today?" I asked. He shook his head. "Doing well," he replied. He looked out the window. "Is that where the raceway used to be?" he asked. "Where that brown building is?" I shrugged. "Beats me," I said. "I've spent very little time in Albuquerque. Most of it right here," I added. He laughed at that. "I used to live here," he said. "Many years ago. I was stationed at the Air Force base." He offered his hand to shake. "I'm Jake," he said. His grip was steady and strong. "I'm Paul," I replied. "Which base is that?" "Well, it's funny you should ask!" he exclaimed. "I've been trying to remember, myself. I've been trying to remember for the last few days." "Not the Roswell base," I offered, trying to help. "Oh, no," Jake said. "That's been closed since the mid-forties." "No, it hasn't," I corrected him. "The UFO crashed near there in 1947, and the base was still open in 1949 when the first investigations into the crash began to be made by outsiders." He stared at me, silent, for a moment, then said, "I wonder if the waitress might know the name of that base." He waved at her and asked. "Kirkland," she replied, then continued on to my table and asked if I was ready to order. "Steak and cheese omelet," I said, and she trotted away. "Kirkland," he nodded in satisfaction. "Man, don't you just hate it when you forget something like that?" "You must not have been there very long," I suggested. "But I was! I was a flight engineer there. For years. In fact, that's where I met my wife." He was not wearing a wedding band, I noted. "We used to receive nuke weapons and refurbish them." "So you're one of those retired military guys who jumped off the base and into a truck, eh?" He shook his head. "I didn't intend to. It was this cancer. I couldn't just sit at home and let it consume me." "A gift from those nuclear weapons you worked on?" I guessed. "Naw, the nukes didn't do it. It was benzene. I worked with that for years over at Wright Patterson." "Sounds like you worked at a number of bases." "Oh, I did!" he said. He stuck up a hand full of fingers and began to count them off. "Viet Nam, Thailand, Wright, Kirkland, …" He rattled off about twenty locations, many of which, I knew from my studies of ufology, were claimed to be connected in some way with flying saucers. "Sounds like they kept you busy. And if you worked with nukes, you must have had pretty good clearance." He nodded self-deprecatingly. "I helped process the B-1's and the B-9's when they sent them back from England at the end of the Lend Lease program." "Wow," I said. "I just learned about the Lend Lease program yesterday, from a book on tape I was listening to!" This program, put in motion by Franklin D. Roosevelt before America's official participation in World War II, provided Great Britain and other friendly countries with American-made weapons with which to defend themselves from fascism. "Well, when it was all over," Jake explained, "the planes were returned. We kept them stored wingtip to wingtip here at Kirkland, just as some still are in Tucson." I had seen the array of planes in Tucson, and wondered about it. "But they were taking up too much room, so they were dismantled and we flew them to—" He suddenly seemed to catch himself. "Sorry, I may have said too much already. After all," he added sheepishly, "They're still out there." I decided to take the initiative. "You let it spill that there are hundreds of dismantled bombers lying around, but clam up at the mere mention of the Roswell UFO crash?" The sun was streaming in the windows of the brightly-lit restaurant. In its light I saw Jake pale visibly, and the blood vessels on his temple began to throb. He rose quickly, removed his wallet, and fumbled for some bills. "Hmm. Clammed up twice. You must know something big," I prodded in a joking manner. But he wasn't laughing. He leaned over me, an intense expression on his face. "Listen," he said, sotto voce. "There are some things you don't want to know. Believe me, I don't want to know 'em." He straightened and tossed a few dollars on his table. His hand trembled as he returned his wallet to his hip pocket. He turned without saying goodbye, and walked out of the restaurant without looking back. Later, as I drove towards Arizona on I-40, I appreciated anew the immensity of the desert. There's room there, I thought, for a lot of secrets. The Army Air Force, in fact, had threatened the citizens of Roswell in 1947 with being "taken out to the desert," where they'd never be found. That threat was believable enough to the people of that town to have silenced almost all of them for most of forty years. I haven't yet been to Roswell. I know there are at least two UFO museums there, owned and operated by the aging witnesses of the July, 1947, events. 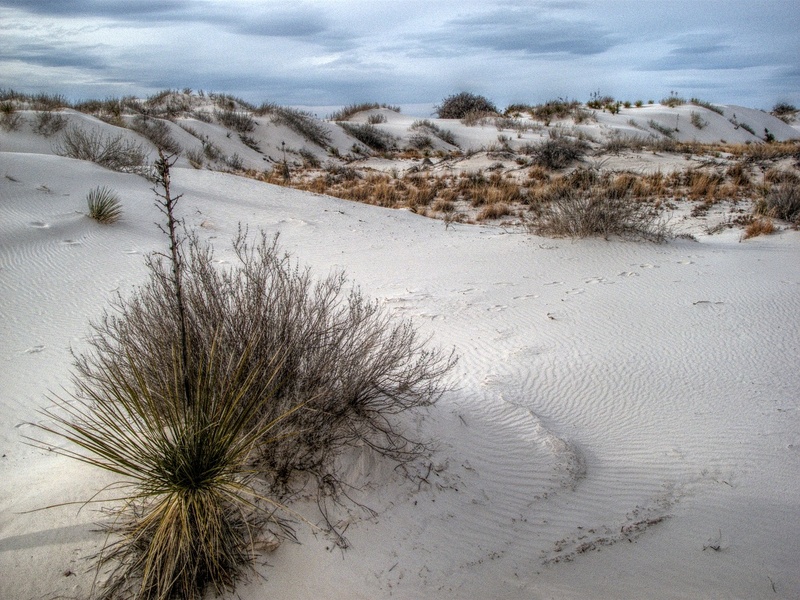 I also haven't been to White Sands, also in New Mexico, where former Nazi scientists were working on what became America's space program at the very same time as the UFO crash. There's a theory that those two facts were related—that, in fact, the crashed saucer was actually an experimental aircraft designed by the former Nazis, and the story of a UFO crash was actually a cover-up to avoid revealing to the public that we had actually hired the villains we'd been fighting only two years before. But that story doesn't explain where the mysterious materials came from, such as the plasticized metal that couldn't be cut or burned, and which, when crumpled, returned to its original shape. This is a material we still do not have. If the Nazis had invented it, surely it would be on sale at Wal-Mart by now. And there were also the light-weight metallic "I-beams" with the hieroglyphics on them. If Nazis had built the Roswell saucer, why would they have inscribed its components with information in an unknown writing? It's a big desert. If one considers that secrets may be hidden beneath it as well as on it, one can easily become overwhelmed with the enormity of what it may conceal.